Bent plywood furniture and components a.k.a what company is Tarmeko LPD? 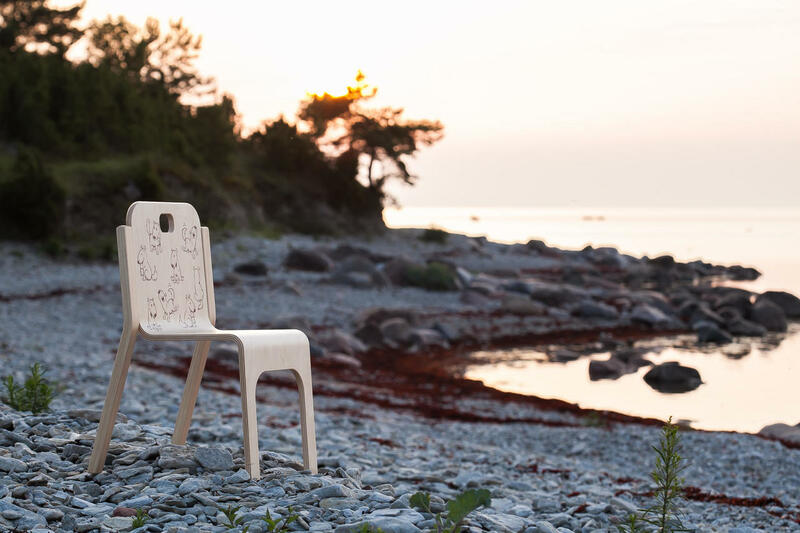 Tarmeko LPD is a company that produces mainly birch plywood furniture and components. We are located in Lohkva, Luunja county (in South-Estonia) together with our sister companies Tarmeko Pehmemööbel (upholstery factory) and Tarmeko Veneer. In our product portfolio are among other things bent plywood furniture collections (mainly chairs and tables but also other accessories) for children or living rooms, offices and lounge spaces. Although most of the products are made out of birch plywood, we can also use oak, walnut or ash top veneer but in some cases even laminate in all kinds of colours. If you wish to read more about what is plywood and why it is a good material for furniture, then read the post about it here. There are various options on different shapes and forms that one can do out of plywood. To design unique and practical furniture, the company has worked together with many Scandinavian and Estonian designers. 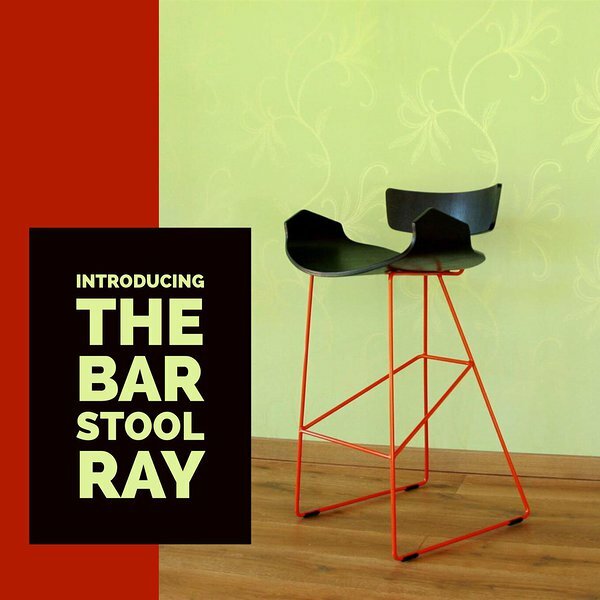 Among our design furniture is the bar stool Ray (see above), Spider easy chair and creative wall racks Juss and Kuusk. All of our own models are divided into two trademarks: Tarmeko Nordic and Tarmeko Kids. As a subcontractor, Tarmeko LPD offers many solutions for components and customers' designs like seatbacks, armchairs, bed legs, bed slats and other bent plywood components. 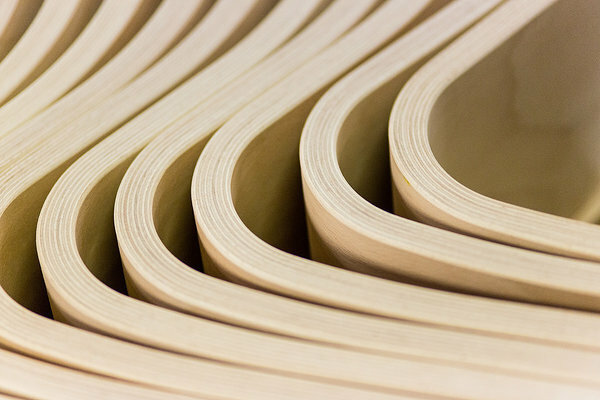 To find out more about our subcontracting options for bent plywood components and customers' designs, please visit the right category page. Under the trademark, Tarmeko Nordic are tables and chairs with Scandinavian design: elegant yet with a modern twist. During the rebranding, we decided to give the trademark a dark blue visual since it connects with the Nordic touch the furniture has. In the collection are Zürich, Spider and Goal easy chair and footstool sets, sofa tables Margit, Tango, Bend and Jaanus; Milonga and Karjala dining table sets and other products that can be seen here. The furniture is suitable for homes, offices or other public and lounge spaces. Tarmeko Kids is a trademark that concentrates on children furniture. The main emphasis is on care for children and that the furniture is practical yet safe to use. Because of these reasons during the rebranding, the chosen visual trademark colour for Tarmeko Kids was the playful orange. The trademark Tarmeko Kids is made out of chairs Tommy, Teddy and Pippa, high chairs Kiddo and NiNo, stool Tipa and also wall rack Juss and Kuusk. The overview of Tarmeko Kids products can be found here. The products are suitable for homes, daycare centres, schools and nurseries. This was a brief overview of Tarmeko LPD and what this company has to offer. If you have any additional questions/comments, please do not hesitate to ask and write to us on sales@tarmeko.ee. Martindale - what is it and why is it good for?